Where were you born? Where do you live now? Born in Melbourne, brought up in Margaret River (Western Australia) and now live on my vineyard in the Yarra Valley (near Melbourne). How did you get into the wine business? Started life after University as a pupil Brew master in a large brewery. I slowly graduated to wine as my palate and interest developed. My first wine venture was 1981 when I planted Devil’s Lair vineyard in Margaret River. What is most and least rewarding about being a winemaker? Most rewarding is showing and discussing my wines with kindred souls around the world. Least rewarding is the continual battle for cash; it is a very capital-intensive business and there are few rich winemakers. But then if we were rich, we would just spend it all on new barrels, new equipment and better bottles of other peoples’ wine to try with our friends and colleagues. What are the benefits and challenges of making wine in your region? Being close to a very wine and food centric city like Melbourne is of considerable advantage; we sell a lot of wine within 1 hour of our winery, to knowledgeable and interested customers. Challenges include being surrounded by other great producers; it is hard to stand out from the crowd when you are in illustrious company, but then, we really love that anyway. 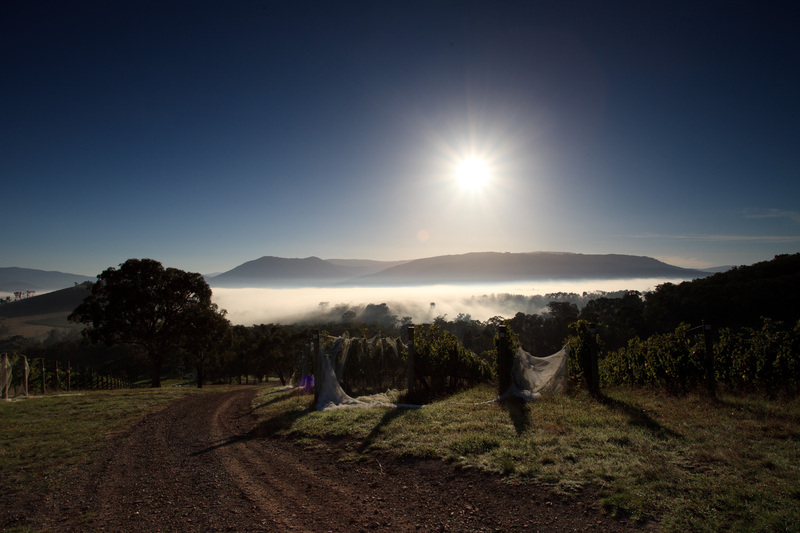 Other challenges include a trying climate; we are very cool and some vintages are a struggle, even with early ripening varieties such as Pinot Noir, particularly our higher vineyards (up on the side of the Great Dividing Range). Have Australians’ wine preferences changed in the last 10 years? Yes, very much so. I would say there has been a dramatic shift to more classically styled wines, which come from cooler climate areas. There is a tendency towards lower alcohol wines that are fully ripe (this is a viticultural and location-based challenge); a tendency towards minimal intervention, both through the sourcing of single vineyard sites, hand viticulture, indigenous fermentations and minimal additions from there on, particularly with the use of sulfur. Customers are seeking out these wines and are very interested to learn about them as well as asserting their preference this way. Have you been to the U.S.? Yes, many times. I even lived there for 2 years in Portland, Oregon working on the Bridgeport Brewery as a sabbatical from my wine business at that time, Devil’s Lair in Margaret River. Do you think Australia gets an unfair reputation in the U.S. for producing unbalanced, fruit bombs? On reputation, I think that we have been master of our own demise, to some extent. Just because everyone claps and cheers when you take your clothes off, doesn’t mean that you are taken seriously or that it is going to do you any good. So yes, we went with the applause rather than our gut and wine instincts. This second wave of Australian wine that is starting to get more attention (off a tiny base) has always been around in Australia and we are seeing serious attention paid to these wines as we trickle them into your market. But they will always be in small volumes as they come from smaller family producers such as ourselves (=no capital market pressures); from small, carefully tended, special vineyard sites; and require explanation and hand selling, rather than brand-based selling. So I don’t expect there will ever be a huge wave of Australian wine hitting your shores again, rather a steady influx of well-made, appellation and often site-specific wines made by smaller producers. Which wine or grape is the least understood or respected? From Australia, it would have to be Semillon. We don’t grow it as it prefers warmer climates, but probably the wine I drink most with my team would be aged Hunter Valley Semillon. It’s an art to grow and make properly in the challenging environment north of Sydney, but the end result is heaven in the bottle; we don’t talk about it very much because we would rather it stayed here in Australia. What excites you most about Australian wine right now? The inevitable return to what fine wine is all about: great sites and dedicated, uncompromised and independent producers doing what they believe in, slowly. Rather than a beverage industry directed by marketing men and corporates. What do you drink when relaxing at home? Aged Hunter Valley Semillon, Rieslings (Australian), Pinot Noir (from everywhere) and Chardonnay (from cool appellations), cool climate Syrah/Shiraz (including Northern Rhone) and good beer, including Bridgeport IPA (yes, it’s on tap in Australia) and Trumer Pils (yes, also on tap in Australia). Currently, I am really enjoying the wines from Ted Lemon at Littorai (CA). They are inspirational examples of low/no intervention wines. It’s our peers that excite us most of all. What types of food do you like to eat? Australian/Thai based food. This cuisine is a big movement in Australia and marries the precision and spice of High Thai (Thailand is not far away) cooking with the robustness and enthusiasm of classically trained Australian chefs (see Thai Cooking, by Australian Chef David Thompson). Also, thin crust pizza from a wood burning oven (no cheat heating, i.e. gas flames) We have a huge business at our winery based around “the dragon”, our wood burning oven and I never tire of the classic Italian styles (with respect, not Wolfgang Puck styles). They go with any wine. What music do you listen to? Jazz: Brubeck, Coltrane, Burrell, Jarrett, Loussier and French Jazz in general; classical (but not “best of”), and alt rock and country. I have every album by Manchester (England) composer and guitarist Vini Reilly/Durutti Column and as a contrast, but certainly not second, Nick Cave, Townes Van Zandt and every album by John Prine. Which non-Australian wines do you like? I love Chablis (most sites, most producers), Barolo (same as for Chablis) and my partner Donna loves grower Champagnes…. so of course “I love them too”… but with tongue out-of-cheek, I love what the grower producers are doing, with what was previously a very controlled front. Are there any wines you can’t stand to drink? First of all, I do not like infused wines in general, but some of the new botanical styles are intriguing. I don’t like high alcohol wines (hot) so I avoid them. I have a huge problem with producers who refuse to deal with cork problems. Why should we pay good money for faulted wine, even if it was great when it went into the bottle? If you could be traveling somewhere else right now, where would you be? Where I am right now as I am writing to you: Paris. It’s got it all and if I could improve my French a bit, I would move here. I am kidding. If I ever make any money in the wine industry, I will plonk myself right on my front porch and enjoy the view…. and the wine. 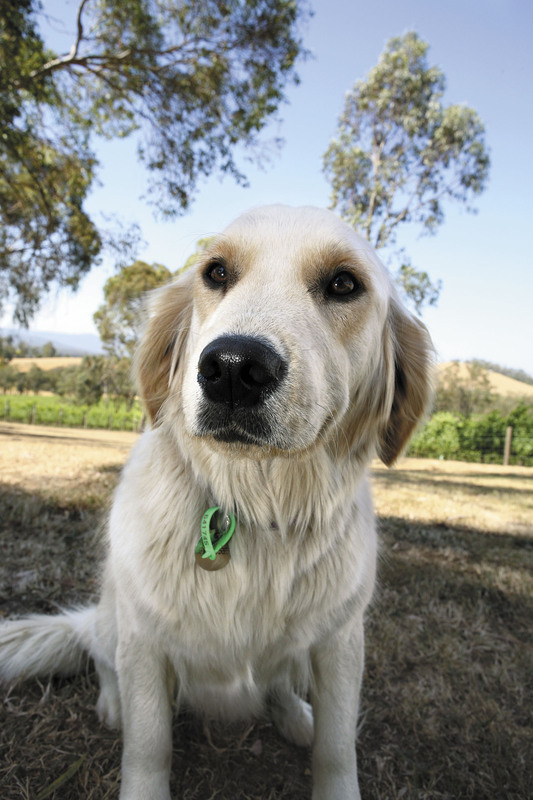 Is there a winery dog? 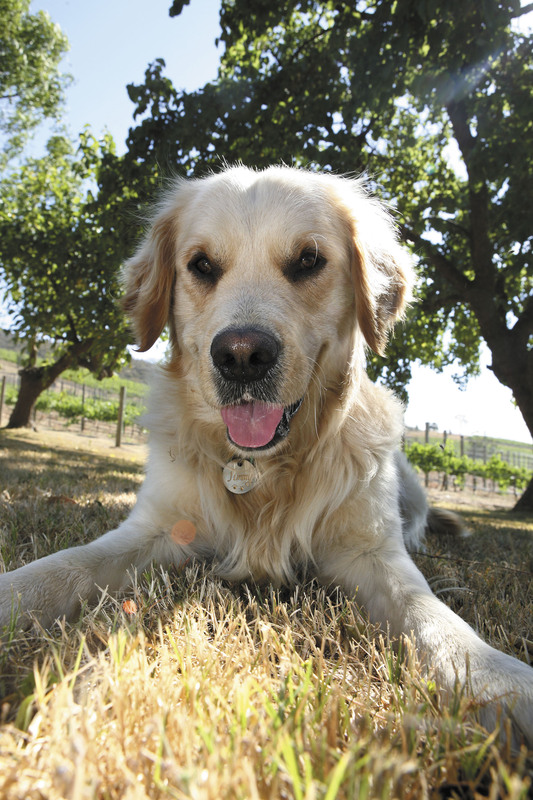 Yes, three vineyard dogs: Timmy and Elsa the Golden Retrievers and Edie, the Brown Labrador. All are very selective consumers of high-quality wine grapes (they know exactly where to go in the vineyard) and vintage life becomes focused around stopping them eating the best fruit before we get to it! Anything else you care to share? If your readers ever plan to visit Australia, they MUST plan properly. Allow 4 weeks (at least) or they will do little more than the tourist shuffle, and miss the heartbeat of a very different culture located in one of the most unique environments in the world.